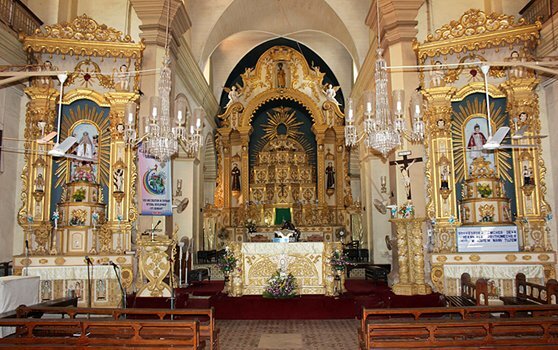 We start the day to a visit to the former capital of Goa Old Goa where we visit Churches built by the Portuguese. Visit the Basilica of Bom Jesus where the relics of St Francis Xavier been kept, later visit the Se Cathedral this church is the second biggest in Asia. The Shri Mangueshi Temple is set atop a hill at Priol, northwest of Ponda leading to Old Goa. The temple has a seven-storey lamp tower ( which is a unique trait of Hindu temples in Goa ) , a Nandi bull ( Lord Shiva’s conveyance ) , as well as shrines to Parvati and Lord Ganesha. During the festival of Mangesh Jatra, the rath ( temple chariot ) is pulled by several devotees. The Mahalsa Narayani Temple is dedicated to Lord Vishnu’s consort Laxmi, though some people believe it is the Lord Vishnu’s female form Mohini. A lamp tower, which is seven floors high, can also be found here. Garuda, the great bird that was Lord Vishnu’s conveyance sits atop a pillar, which rests on the back of a turtle. There are intricately carved columns and painting of the 10 avatars or incarnations of Vishnu. From here we drive to the spice plantation.Â A guide will then take you on a tour of the plantation which will last about one hour, the guide will explain about all the spices and plants you discover and tell you about their medicinal properties. Black pepper, cardamom, nutmeg, vanilla, cinnamon, cloves, chillies, coriander and all spice are just some of the spice plants you will find in the plantation. Varieties of Cashew trees, betelnut palm trees and some tropical fruits like Star fruit, Custard apples, Papaya, Bananas, Pineapples and the Citrus fruits are also found in the grounds. After you turn round the plantation, you will be served lunch. The lunch is a very tasty local meal served on a banana leaf plates, accompanied by a sweet dish and a tipple of cashew feni ( Goan speciality ) . Then proceed to Margao City , which was once considered the Capital of Goa during its early centuries, left the job of capital to the river port of Chandrapur or now presently called as Chandor. In early centuries it was termed as Goas second best city after the Capital Panjim city, but today Margao is the biggest city of Goa. It is the busiest city, lively and full of crowds, having one of the largest markets with huge variety in Goa. Even in the early days of its this place was famous for beautiful site scenes, exotic locations, lovely built temples and for many more wonderful things. Even long before Portuguese entered Goa, Margao city was known for its University having library with books over 10, 000 which in those periods was not only something wonderful thing but surprising too.